Anyone can start an online store these days. However, that doesn’t mean the process is simple. Without the right tools, your WordPress eCommerce project may lack some key features you need to truly compete. For example, you might not get access to the payment gateways you want to use, or be unable to provide discounts and track purchases. To put it another way, it’s essential that you pick the right WordPress eCommerce plugin. This is why we’re going to introduce you to nine of the top options. We have a lot to talk about, so let’s jump right in! When it comes to hosting eCommerce sites, this is one of the most versatile plugins you can use. At its core, WooCommerce enables you to transform your WordPress website into an online storefront, capable of selling physical and digital items. The plugin rose to fame so quick that many web hosts even created WooCommerce optimized hosting solutions. By using WooCommerce, you can handle shipping, set taxes, and process payments. That’s everything you need for a basic eCommerce website. However, this plugin goes even further, since it supports its own extensions. There are hundreds of WooCommerce extensions you can use to add advanced features to your online store. For example, you can use Sensei to transform your site into a Learning Management System (LMS) and sell online courses. You can also add support for most major payment gateways. This flexibility reflects what WordPress is all about, and it makes WooCommerce a top option for anything from small to large online stores. In fact, many users swear by it as the best WordPress eCommerce plugin. Set up an online store using WordPress. Sell digital and physical items. Handle shipping, taxes, and payment processing. Add to the plugin’s functionality using extensions. Price: WooCommerce itself is free, but some of its extensions are pay-to-play. Easy Digital Downloads is the best WordPress eCommerce plugin if you’re looking to focus on selling digital files. There’s plenty of competition in this niche, but the sheer number of features this particular plugin offers makes it a shoo-in for the top spot. With Easy Digital Downloads, you can upload and sell files via WordPress. You can also store them in external locations, such as Amazon S3 and Dropbox. The plugin enables you to process payments, integrates with mailing lists, and even includes its own affiliate system. As if that weren’t enough, you can also use this plugin to set up customer account pages with detailed payment histories. Plus, there are plenty of extensions you can use to expand your store’s functionality even further. Sell digital files from your WordPress website. Store your files in WordPress or on third-party platforms. Handle payments using multiple processors. Set up an affiliate program to drive more sales. Integrate your online store with a mailing list. Set up detailed user profiles. Price: The base version of Easy Digital Downloads is free, while premium licenses start at $8.25 per month for a single website. In addition, most of its add-ons are also premium. Now, for something a bit different. This WordPress eCommerce plugin isn’t about selling files or physical products. Instead, it enables you to monetize your website by selling memberships. With MemberPress, you can turn your website into a members-only club and charge recurring fees in exchange for admission. You can set up multiple membership tiers with unique perks, create closed-community forums, and even implement discounts. On top of that, MemberPress also enables you to set up an affiliate program, and it provides you with a lot of analytics options. It includes a number of add-ons you can use to customize your experience even further, making this possibly the best WordPress eCommerce plugin for membership sites. Set up a private membership website. Charge recurring fees in exchange for access to your private content. Set up multiple membership tiers. Manage billing and get access to in-depth reports. Set up an affiliate system for your website. Price: MemberPress licenses start at $129 per year for a single website, which also includes access to over 20 add-ons and integrations. If you tried out WooCommerce and you felt like its interface could use a facelift, then Ecwid Ecommerce Shopping Cart might be more up your alley. From a functionality standpoint, both plugins offer most of the same major features. You can use Ecwid Ecommerce Shopping Cart to process payments, handle shipping, and even provide discounts. However, this plugin also comes with plenty of advanced functionality. For example, it enables you to set up Facebook and Instagram stores, as well as simple mobile apps. Just be aware that all of these extra features are only available on Ecwid Ecommerce Shopping Cart’s premium plans. Manage shipping and process payments. Set up shopping carts for your clients. Use add-ons to gain access to new features, including mobile apps. Price: There’s a free version of Ecwid Ecommerce Shopping Cart, and premium licenses start at $15 per month. So far, we’ve explored a lot of general-purpose WordPress eCommerce solutions. Sometimes you need a tool that’s a bit more niche, however, which is where the Photo Gallery by 10web plugin comes in. What this plugin does is enable you to set up all kinds of photo galleries on your WordPress website, including private ones. There are a lot of plugins that do this, of course. However, Photo Gallery by 10web also enables you to sell your photographs, which makes it perfect for aspiring artists. To protect your images, this plugin supports watermarking, and it protects against right-clicking. This means that if someone wants one of your photographs, they’ll have to pay for it, which they’ll be able to do easily. Sell photographs through your website. Protect your work from theft. Price: There’s a free version of this plugin available. If you want to sell your images, however, you’ll need to purchase a premium license, which starts at $30 per six months. Setting up your own online store is a bold endeavor. However, that’s not the only way you can make money using WordPress eCommerce platforms. For example, you could also set up an online marketplace where other vendors can make sales, and you collect a cut of the profits. That’s exactly what WC Vendors Marketplace enables you to do. With this plugin, you can create your own online marketplace that works similarly to Etsy or Envato (just to give you a couple of examples). Your ‘vendors’ can sell digital or physical products, and use your marketplace to collect payments. This is a win-win solution because it enables other people to make sales online without having to set up their own stores. If you’re confident that you can attract vendors, this can be the best WordPress eCommerce plugin for this particular purpose. We do recommend focusing on a single niche, at least at first. That way, you’ll be able to attract vendors more easily and drive interested traffic to your marketplace. Set up a marketplace where other vendors can sell their products. Collect commissions from sales made on your marketplace. Approve vendors before they can join your ranks. Pricing: There’s a free version of WC Vendors Marketplace. You can also get the premium version, which starts at $199 for a one-year license and adds a lot of vendor-centric features. Like the previous plugin, LearnPress is more of a niche tool. It’s a fully-featured Learning Management System (LMS) solution that enables you to create, sell, and manage access to multiple online courses. Your courses can be as simple or as complex as you want. They can include quizzes and interactive elements, and you can even assign homework to your students. Plus, LearnPress comes with a lot of add-on options, several of which are free. With add-ons, you can create course wish lists, set up prerequisites for specific classes, and integrate your classrooms with forum plugins. That last feature is fantastic since it enables you to create communities around your online classroom. Once you have a decent enrollment rate, your students can even help each other out via forums, which will make your website that much more engaging. All in all, it’s no surprise that many consider this the best WordPress eCommerce plugin for online courses. Since we’re not talking about a traditional WordPress eCommerce plugin, it’s worth noting that students will need to purchase each course they want to enroll in. There’s also a premium add-on that supports subscriptions, which enables you to grant access to all your classes in exchange for a monthly fee. Create online courses using advanced features. Sell access to your courses at any price you want. Integrate your online classroom with forum plugins. Set up prerequisites for specific lessons. Price: The LearnPress plugin is free, but several of its add-ons are premium. You can also get it bundled with a related theme and many of the add-ons. You already know what the best WordPress eCommerce plugin is if you want to set up a marketplace. However, what if you’re looking to create an auction site instead? It might not surprise you to find out there’s a plugin that enables you to do just that, and it’s called Ultimate WordPress Auction. This plugin enables you to set up multiple auctions on your website, and have registered users bid on them. Winning customers can pay via PayPal, and you can specify how long each action should go on for. On top of that, Ultimate WordPress Auction offers all the basic functionality you’d expect from a WordPress eCommerce plugin. You can use it to create product pages with multiple images, configure email notifications, and more. Set up auctions on your WordPress website. Run multiple auctions and configure timers and reserve prices for all of them. Enable customers to pay for their purchases via PayPal. Use grid or list views to showcase your auctions. Re-activate expired auctions in case you don’t get any bids. Price: The free version of this plugin includes all the features we’ve discussed. There’s also a premium version that packs even more functionality and starts at $59 per year for a single website. So far, most of the plugins we’ve talked about are pretty dense in terms of all the features they offer. That’s not a bad thing, of course, but it can be intimidating if you’re looking for a quick solution to set up a simple WordPress eCommerce store. That’s where WordPress Simple PayPal Shopping Cart comes in. What this plugin does is enable you to place an Add to Cart button on any page on your website, for any item you want. Once that product is in a visitor’s cart, they can pay for it via PayPal. With this plugin, you can handle both physical and digital items. It includes some advanced options, such as enabling discounts and customizing your checkout page. Overall, WordPress Simple PayPal Shopping Cart provides an intuitive experience you should be able to get up and running quickly, even if it isn’t the best WordPress eCommerce plugin when it comes to flexibility. Place an Add to Cart button anywhere on your website. Enable visitors to check out via PayPal. Sell both physical and digital products. Price: The WordPress Simple PayPal Shopping Cart plugin is 100% free. Ultimately, choosing the best WordPress eCommerce plugin will come down to what type of store you want to set up. For example, WooCommerce works great for a mix of physical and digital products. However, Easy Digital Downloads has an edge if you’re only planning to sell virtual items. As long as you know what features you need, choosing the right tool is usually simple. Alternatively, if you feel like trying out something else, there are many other powerful eCommerce platforms besides WordPress. 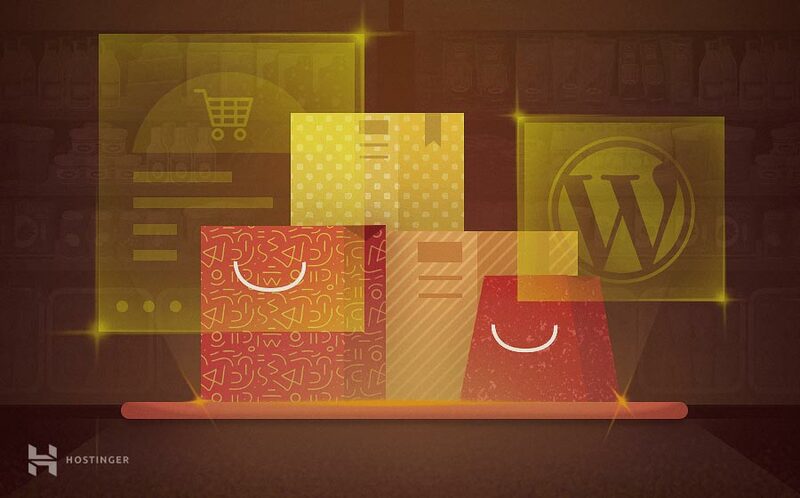 Do you have any questions about how pick the best WordPress eCommerce plugin for your site? Let’s talk about them in the comments section below!